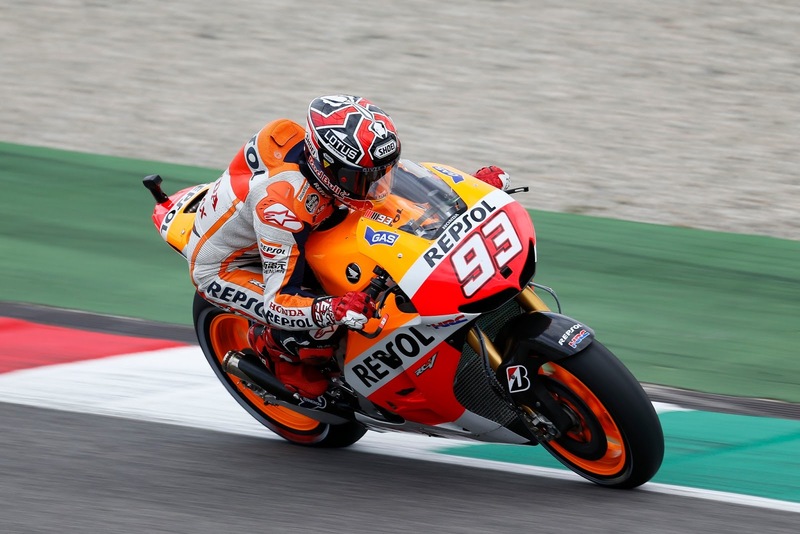 Marquez: "I don’t fully understand why I crashed"
Repsol Honda rookie Marc Marquez suffered his first DNF in the MotoGP class in the fifth round of the championship, at Mugello. Marquez had a tough weekend at the Italian track, crashing four times throughout the weekend – one of which a terrifying 175mph crash on the home straight. Despite having to go through Q1 on Saturday the 20 year old qualified in sixth position. This didn’t hinder his position in the race and a rocket start from the Spaniard put him up into the top three positions. Battling with team-mate Dani Pedrosa, Marquez secured second position by lap 19 and began to pull away from his compatriot towards leader Lorenzo. With just three laps of the race remaining Marquez lost the front of his RCV213V and was unable to rejoin the race. Previous Previous post: A disappointed Rossi: "It was a bad crash"